People afflicted with epilepsy are commonly prescribed with Neurontin to control seizures and/or convulsions. ‘Â These seizures are involuntary movements that are characteristic of epileptic patients. ‘Â With Neurontin treatment, studies have shown that part of the seizures may be controlled. ‘Â Neurontin is also safe enough to be combined with other anti-epileptic drugs and it is usually taken along with them. ‘Â A doctor’s prescription is necessary though before commencing any treatment with neurontin. 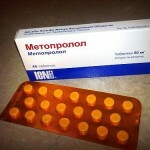 Neurontin is also prescribed for the nerve pain experienced by people who have shingles. ‘Â With this condition, patients typically have rashes that are very painful. ‘Â These rashes are specifically caused by the herpes zoster virus and they can be controlled with Neurontin treatment. The active ingredient in Neurontin which is Gabapentin may also be prescribed for other types of nerve pain especially those that occur with peripheral and/or diabetic neuropathy among others. ‘Â In these conditions, damage is present in the nerves and thereby causing symptoms such as pain. For Neurontin treatment to be effective and safe, patients need to follow the exact instructions of their respective doctors especially in terms of drug intake frequency and dosage. And although Neurontin is considered safe even for young children, any treatment with this drug must be consulted with doctors first. ‘Â It is also important to note that some antacids may reduce the drug’s effectiveness and action and so for people who are taking some form of antacid, taking Neurontin should be done at least two hours before taking the former drug. ‘Â There are also multiple variants of Neurontin in terms of its active release and patients should maintain using one kind of this drug as per their doctor’s advice.